A great little gift shop featuring unique gift items and Arizona Souvenirs, and, of course, .... DATES!!!! Dates, Dates and more dates! 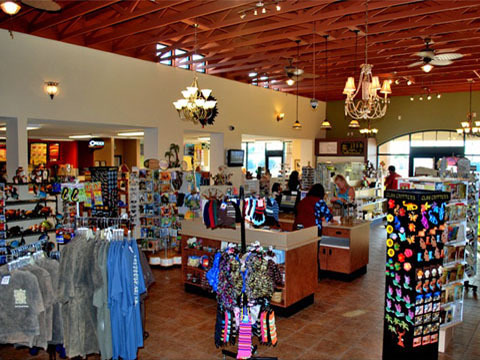 The RV Park Registration is also located inside the gift shop. We have very easy access off of the interstate, with plenty of parking available, including enough turn around space for semi-trucks and buses. We also have pet kennels that are both shaded and misted, so you can have a few minutes to yourself while Fido or Tabby are safe and out of the hot vehicle. The facilities are free to use, but if you would like to lock the kennel, there are locks available in the Gift Shop for a $10.00 refundable deposit.